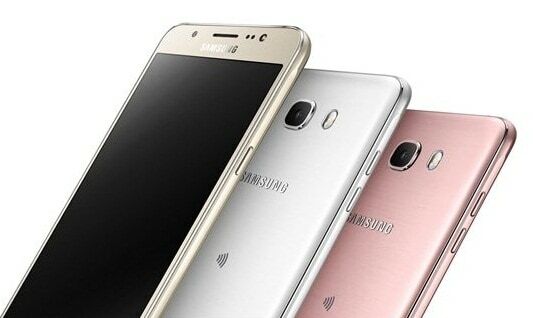 Samsung Galaxy C9 Pro Specifications and Price: The South Korean company, Samsung first launched Galaxy C9 Pro in China last year in October 2016 and now they are going to launch it in Indian market on January 18. Samsung C9 Pro is company’s first ever device to have 6GB of RAM. The smartphone has a super-AMOLED full HD 6.0-inch multi-touch display with a resolution of 1,080 x 1,920 pixels. Let us discuss Samsung Galaxy C9 Pro’s specifications, key features, and price details. The Samsung Galaxy c9 Pro is powered by a 64-bit 1.44GHz octa-core Qualcomm Snapdragon 653 processor clubbed with Adreno 510 graphic processing unit (GPU). The smartphone feature an internal memory of 64GB which is expandable up to 256GB via MicroSD card. But its huge 6GB RAM is the main advantage or merit of Samsung Galaxy C9 Pro. It is a dual SIM smartphone that sports nano-SIM in both slots. For photography enthusiasts, Samsung Galaxy C9 Pro is installed with an amazing combination of 16-megapixel camera sensor both in front and rear panel. There is a dual LED near the main camera. You can take it as a selfie-oriented handset and take many pictures as you want. Both cameras has an aperture of F/1.9 aperture that facilitates capturing pictures even in low light condition. It runs on Android 6.0.1 Marshmallow OS and features a battery of 4,000mAh capacity which ensures long backup. Samsung GalaxyC9 Pro measures 169.90 x 80.70 x 6.90mm and weighs 189.0 grams. In other features, Galaxy Pro C9 has a fingerprint sensor, USB Type-C port, WLAN 2G/3G/4G, GPS, and Bluetooth. It also feature all basic sensors including Magnetometer, Proximity sensor, Compass, Ambient light sensor, Accelerometer, and Gyroscope. They should have provided variants based on internal memory. This amazing smartphone is available in gorgeous gold and rose gold. Till now, we don’t have details for the exact price of Samsung Galaxy C9 Pro in India. But it will go on sale in India on January 18 and expected to be priced at Rs.31,500/CNY3199(about 435€) based on its price in China. If you liked the article then share with your friends on Facebook.